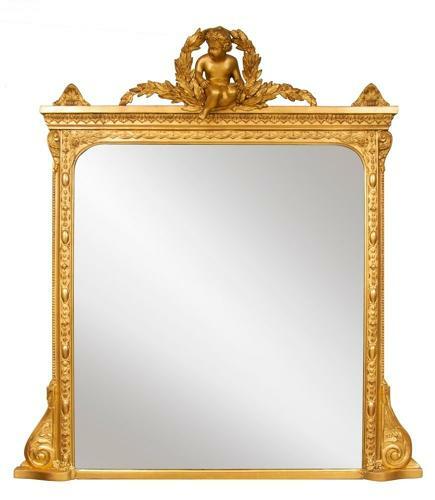 English Overmantle Mirror with Cherub c.1870. It retains its original mirror plate with some foxing to the corner however it shows a crisp central reflection. All our pieces are restored to the highest standards before sale.